Lazar Markovic will not be allowed to leave Liverpool on loan this season, with the club deciding that they’ll only consider permanent transfer offers for the Serbian flyer. Sporting Lisbon’s coach Jorge Jesus was very interested in temporarily bringing the 22-year-old to Portugal, having managed him at Benfica (the club we bought him from), but his current team will not sanction a full deal. This is according to Portuguese publication Sapo Desporto (cited in the Echo), who claim a deal for Markovic to join Sporting is now dead in the water. 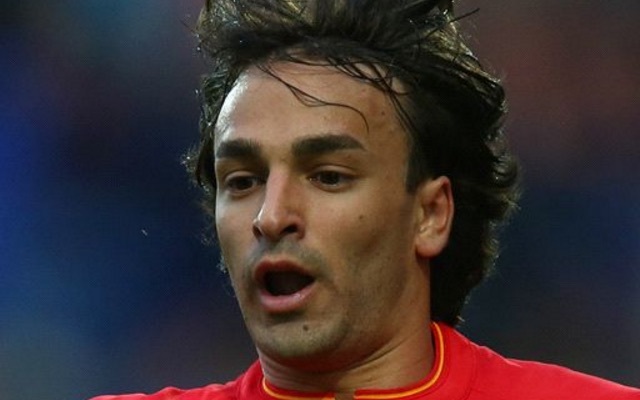 Markovic arrived for £20m in 2014, but failed to establish himself under Brendan Rodgers during our turbulent 2014/15 campaign, and was sent on loan to Fenerbahce in 2015/16 as a result, although injuries hampered his progress. He’s done well during pre-season so far, assisting Danny Ings’ goal versus Wigan last time out and providing pace and running out wide elsewhere, but according to Goal’s Melissa Reddy, Jurgen Klopp is happy to see Markovic leave. With Sadio Mane, Adam Lallana, Coutinho, Roberto Firmino and Sheyi Ojo all capable of playing in attacking midfield, as well as probable incoming transfer Georginio Wijnaldum, the manager clearly thinks he can survive without the talented but erratic European. It now remains to be seen whether another club will come in and stump up the cash required to sign Markovic, or whether he’ll stay and fight for minutes at Anfield.